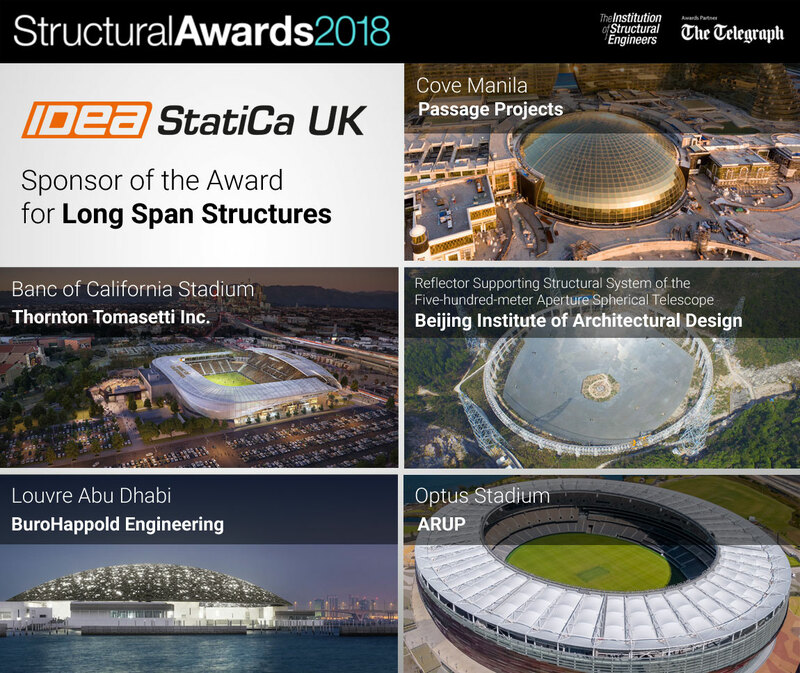 It is a big honour for IDEA StatiCa UK to sponsor this year’s Structural Awards in London, one of the most prestigious events globally. We are looking forward to the ceremony tonight, where we are going to give the award for the Long Span Structures category. The shortlist includes 5 amazing projects around the globe that incorporate particularly long spans, relative to the proportions of the structure. Let’s see who will be the winner!